Employers must deposit and report employment taxes. At the end of the year, they must prepare and file Form W-2, Wage and Tax Statement to report wages, tips and other compensation paid to an employee. Use Form W-3, Transmittal of Wage and Tax Statements to transmit Forms W-2 to the Social Security Administration. In this section, you can also find annual and quarterly federal tax returns for agricultural and household employees. Salary Reduction Simplified Employee Pension— Individual Retirement Accounts Contribution Agreement. 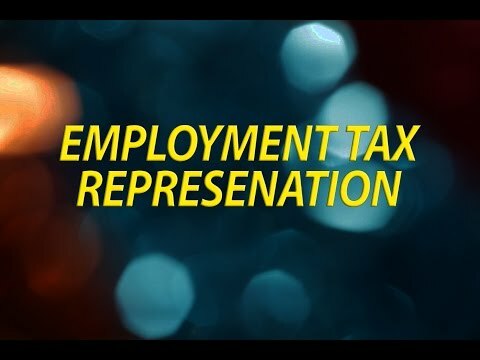 Employment (payroll) tax is an obligatory sort of payment for every employee. An employer in their turn has to report all employment taxes paid by workers of the corporation. At the end of every tax year, business owners deal with special forms designed for tax withholding and reporting income. Such employment tax forms are W-2 and W-3. W-2 is the Wage and Tax Statement, which is aimed at reporting on all wages and other possible tips and compensation offered to the employees in a company. W-3 is the Transmittal of Wages and Tax Statements. Its purpose is to direct an initial W-2 to the Social Security Administration. It is necessary to electronically submit these two tax forms for employers. There is one more form which is available for every individual who wants to request a tax return. For this purpose, an applicant can use W-4. It includes the calculations that help figure out the correct tax amount to be withheld. The form is named as Employee’s Withholding Allowance Certificate. There are two major types of payroll taxes. The first one is PAYE (pay-as-you-earn). In this case an employer has to withhold a fixed amount from the salary and file the payroll tax forms for reporting it. The second type is the tax that is to paid at the expense of the employer. The IRS is responsible for approving the return of the tax. The federal payments are to be made according to some due dates that are fixed by the relevant agencies. The Internal Revenue Service will process all statements over the period signified in the regulations. Read more information and instructions regarding Forms W-2, W-3 and W-4 and look through the examples of filing them on the official website of the IRS.